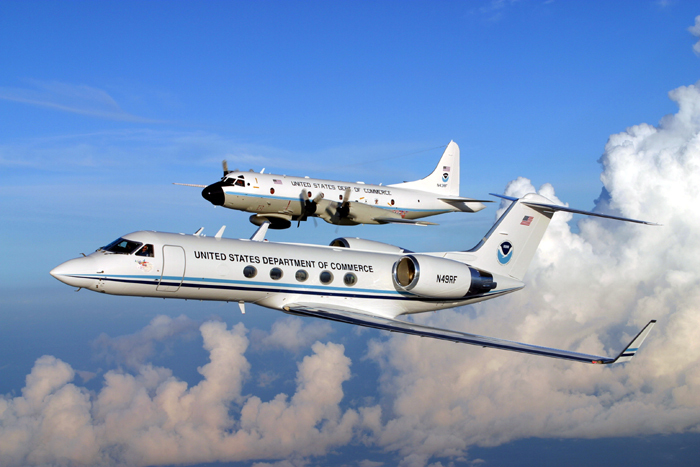 Hurricane hunting, the deliberate act of flying into some of the most extreme and turbulent weather on Earth generated by tropical cyclones, is a critical tool for the mission of NOAA’s National Hurricane Center of tracking and forecasting hurricanes from the time they form in order to issue warnings. These tools also include satellites, ships’ observations, buoys and in some cases, ground level observations of surface winds and collection of other data. Hurricane hunting emerged from weather reconnaissance flights carried out by the U.S. military during World War II in the early 1940s using a variety of aircraft, which included observations of hurricanes and typhoons over the Atlantic and the Pacific initially carried-out with on-board weather instrumentation relayed by radio, which soon thereafter included the use of newly developed radar. This hurricane hunting capabilities carried over during peacetime using a wide collection of military aircraft such as B17, B24, B25 and even B29, and even the B50s, which were nothing more than souped-up/enhanced B29s that were lighter, faster and had considerably more range than the B29s, bombers especially outfitted for these purposes. When the Air Force Reserve 53rd Weather Reconnaissance Squadron was formed, its mission included hurricane hunting, which it carried out using aircraft such as Seahawks and Neptunes, and even the Lockheed Constellations with their distinctive triple-tail. These aircraft were outfitted with radar and especial antennas that were mounted on external pods or pedestals giving the airplanes quite a peculiar look. Eventually hurricane hunting activities settled on the P3 ORION and eventually of a workhorse of an airplane, the Lockheed WC-130 HERCULES, which now carries out the full load of hurricane hunting missions. More recently a new tool was added to complement the work of the WC-130s, in the form of a Gulfstream Jet that actually flies at much higher altitude than the WC-130s, but rather than penetrating the cyclone it flies around its periphery to measure outflow and collect complementary high altitude data. Using these aircraft and improved instrumentation and data-collection tools, such as dropsondes, combined with much improved satellite remote sensing have allowed the National Hurricane Center to achieve considerable improvement in forecasting hurricane tracks, which has resulted in also much improved warnings for vulnerable communities. Despite these vast improvements if hurricane track forecasting, considerable challenges remain regarding the forecast of hurricane intensity, especially when it comes to rapidly intensifying storms that considerably reduce the amount of advanced warning that can be given to vulnerable communities in coastal locations. It is clear much work remains to be done in this respect. To tackle the need for improving the forecasting of tropical cyclone intensity NOAA has recently started to use unmanned aircraft loaded with all sorts of instrumentation and data acquisition sensors, which are capable of flying into tropical cyclones and of staying aloft for much longer periods than the WC-130/Gulfstream teams can. One critical objective of using such pilot-less aircraft is to collect much needed data that can be used to enhance existing models to enhance intensity forecasting. 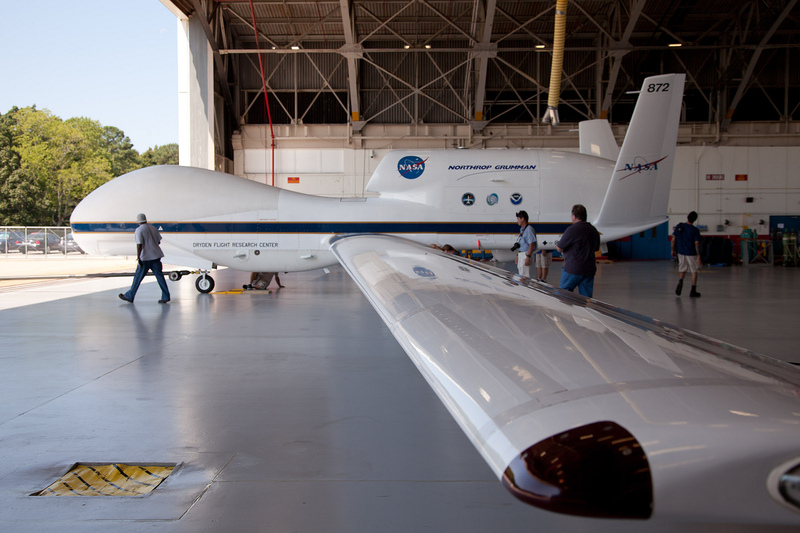 The most recent addition to this arsenal of unmanned aircraft is known as the Global Hawk and it is actually operated by NASA. As this article is being written the Global Hawk is engaged on a month-long mission that started in early September, known as Severe Storm Sentinel, to look at the environment of tropical cyclones to collect data that has been difficult to collect using traditional methods of hurricane hunting. Scientists will use those data to gain enhanced understanding of tropical cyclone formation, but more importantly how these cyclones intensify from tropical depression/tropical storm stage to intense Atlantic hurricanes, which will in turn enhance the capability of forecasters to make better predictions for the benefit of emergency managers in vulnerable coastal locations. Hurricane hunting, a critical component of hurricane mitigation and emergency management, is also an excellent example of how the dedication and work of so few benefit so many without most of them even knowing about it. 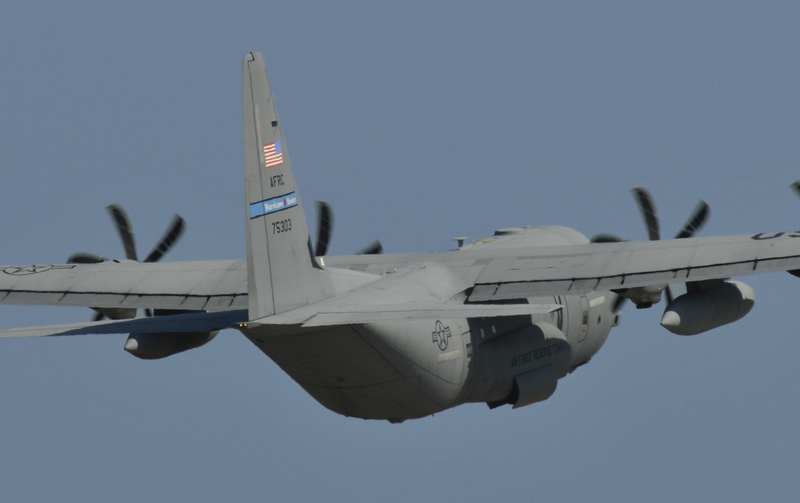 Those of us who live in hurricane vulnerable communities are privileged to benefit from the work of hurricane hunters, and should thank them often and loudly.